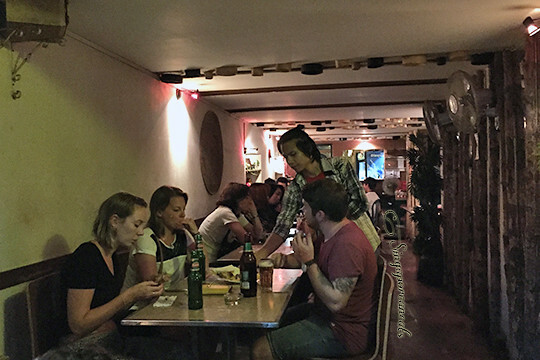 The name Kosan brings to mind Khao San in Bangkok. Located in the busiest food street (with the best grilled fish) in Chinatown, it is super budget friendly for the typical backpacker. 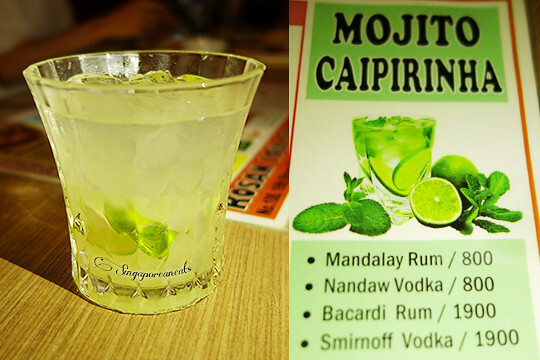 The US$1 (at this point of writing) deal for Mojito and Caiprinha is an unbeatable deal! Between the 2, I much preferred the Mojito. 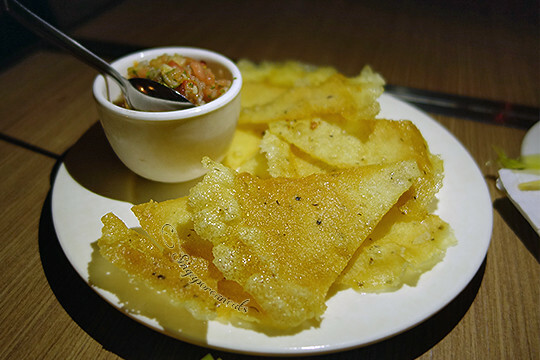 Kosan’s menu offers lots of snacking options and super affordable backpacker prices. 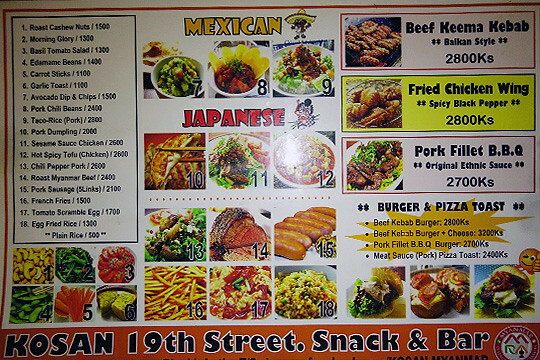 The food is basic, but no complaints at this price range. Chips & salsa. A bit oily, good to line the stomach with before the drinks start! 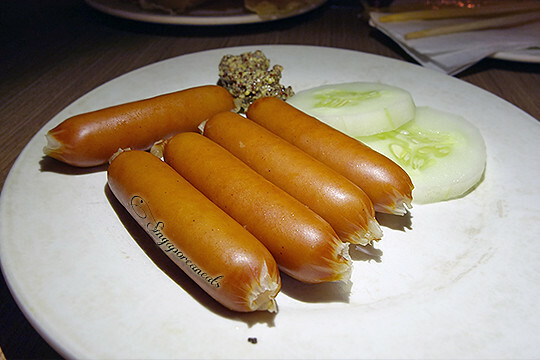 The sausages have a clean bite and goes well with the mustard dip (skip the sour cucumber pieces). The kebabs are very dry though. Maybe skip this one. All the tables were occupied, so the server offered table sharing at the far end of a long table with 3 backpacker type millenials. Throughout the evening, the ang moh youngsters were trying to impress each other, maybe to get lucky that night. They were boasting about their time and understanding of the Asian culture after short working stints in the region (I don’t think 3 months count lah…). We almost cracked up was when the sole young chap told the 2 girls that Orchard Road is filled with secret police (apparently the police raided his friend’s place during his stay in Singapore)! We wondered what his friend was up to to warrant such a visit in the first place! 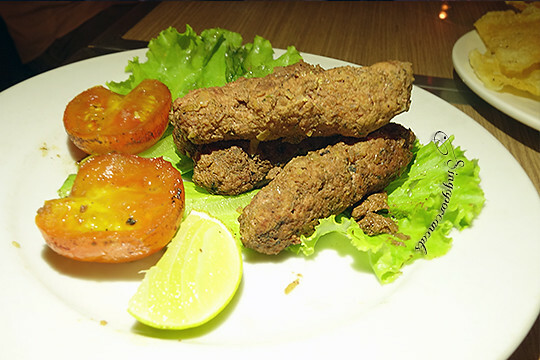 This entry was posted in Myanmar, Travel, Yangon and tagged cheapeats, Myanmar, Travel, Yangon. Bookmark the permalink.